The original "Ghostbusters" from 1984 holds up the test of time. It was fantastic to sit in a theater for a special Fathom Events movie screening for a movie that came out the year I was born. There are a few Fathom events coming up, check out FathomEvents.com to see a listing of the ones which will be available close to you. "Ghostbusters" has been a movie which I've seen on VHS, DVD and Blu-Ray and is a part of my collection. Getting to see it on the big screen was surreal and fantastic to hear children laughing at the jokes. The fantastic look of film could be seen and the well developed story entertained. The supernatural comedy has a magnificent plot with a spectacular cast. Dr. Peter Venkman, played by Bill Murray, Dr. Raymond Stantz, played by Dan Aykroyd, and Dr. Egon Spengler, played by Harold Ramis and later they are joined by Winston Zeddmore, played by Ernie Hudson. 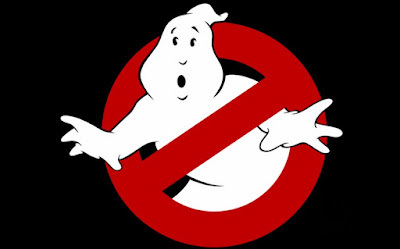 Aykroyd and Ramis wrote "Ghostbusters" and with Murray and Hudson completed a stellar leading cast. With Sigourney Weaver playing Dana, who is haunted by Zuul, Annie Potts playing the Ghostbuster's receptionist Janine Melnitz and Rick Moranis playing Louis Tully the cast is just beyond belief. There's so many movies coming out with such talented casts, but not only are all these cast members talented, they work great together and combined to make this movie a classic. With the remake of "Ghostbusters" coming up, catching up on the original, and the sequel "Ghostbusters 2," is a must. The screening ended with a sneak peek of the new "Ghostbusters." The "Ghostbusters" remake opens in theaters July 15.